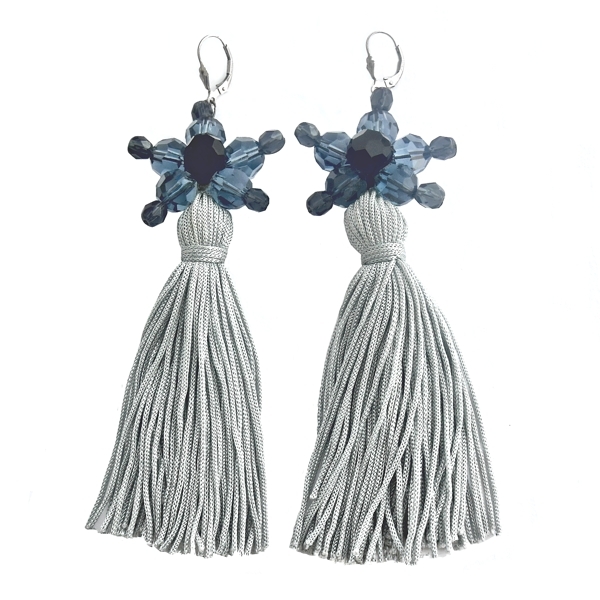 For an on-trend and sophisticated look! 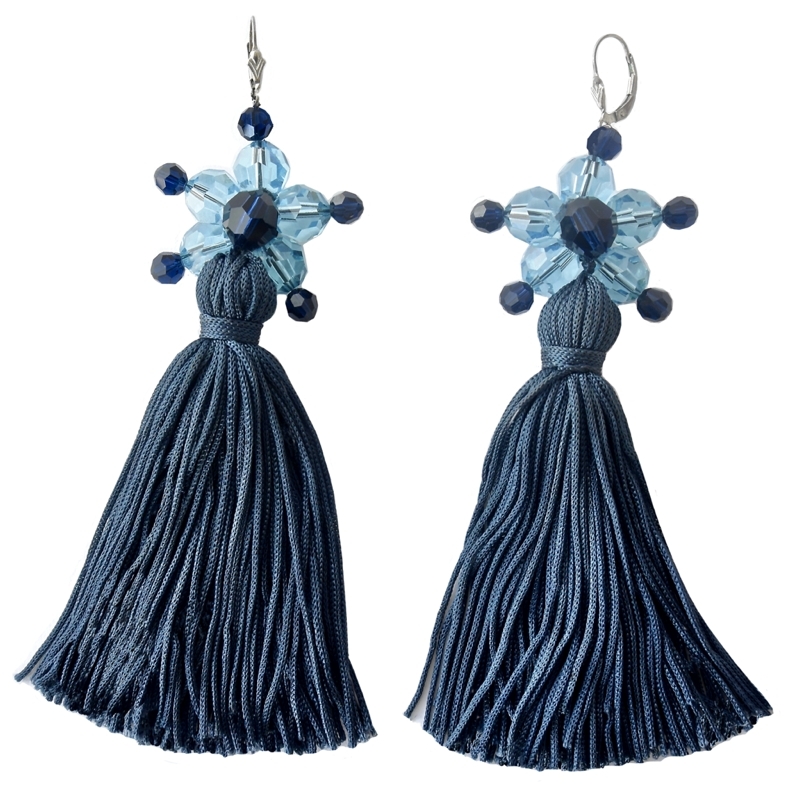 These sparkling LOLLIPOP jewel tassel drop earrings NAVY will add instant wow factor to your look. 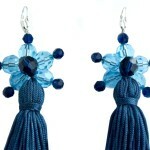 The exclusive flower jewels are handmade with Swarovski crystals in vibrant Aquamarine and Dark Blue colours. 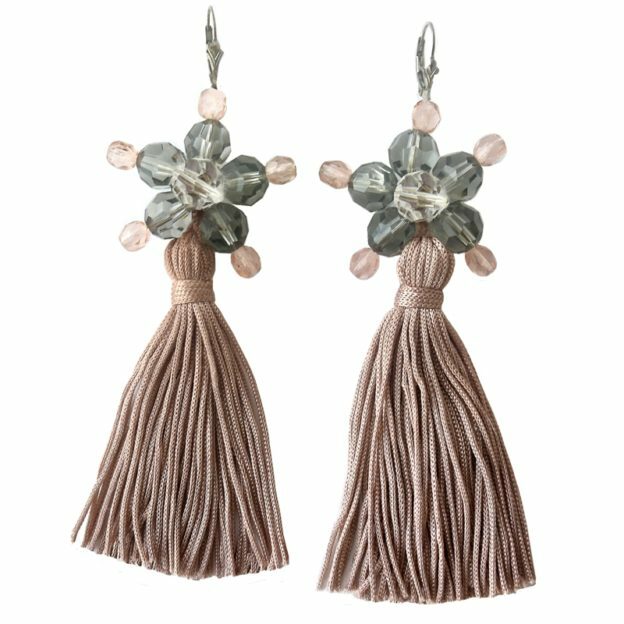 LOLLIPOP statement drop earring have designed to be lightweight and comfortable to wear all day. 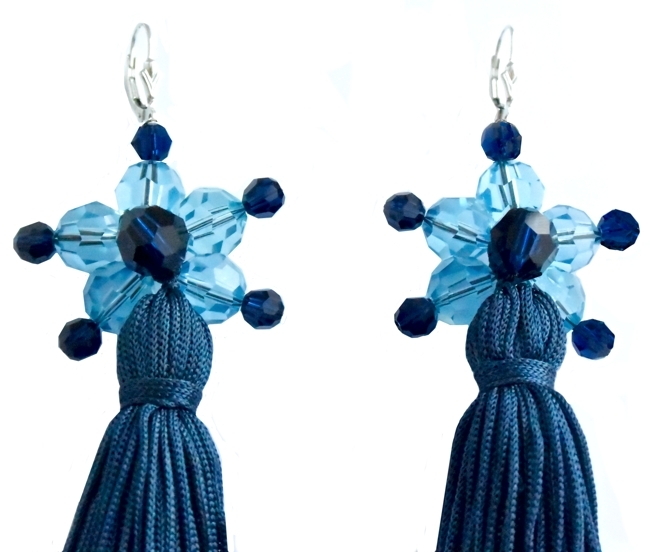 These earrings measure 10 cm in length, including the flower jewels. We love effortless looks but noticed!